“We’re Turks, not Greeks. 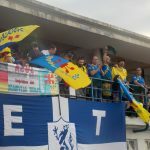 I can’t imagine any player from Northern Cyprus would ever want to play for Cyprus, any more than he’d want to play for Greece” – it’s a quick outline from a fan, but a good summary of one of the most convincing arguments for the ascension of a non-FIFA affiliated country from its current status. Northern Cyprus have had players – like Muzzy Izzet – turn out for Turkey, but turning out for the current Cyprus team is just unthinkable. 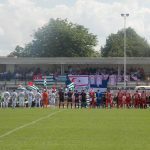 The Turkish-Cypriots in Enfield on Sunday afternoon are passionate, and more than happy to lay out their position, as the inverted Turkish flag – red on white rather than white on red – of the Cypriot Republic sits draped all over Enfield Town’s Queen Elizabeth II ground. The Abkhazians were somewhat less forthcoming on their relationship with Georgia – “we don’t talk about that,” two tell me, before launching into the longest national anthem I’ve ever heard in competitive sport, delaying kick off by a couple of minutes to allow for their solemn orchestral opus. 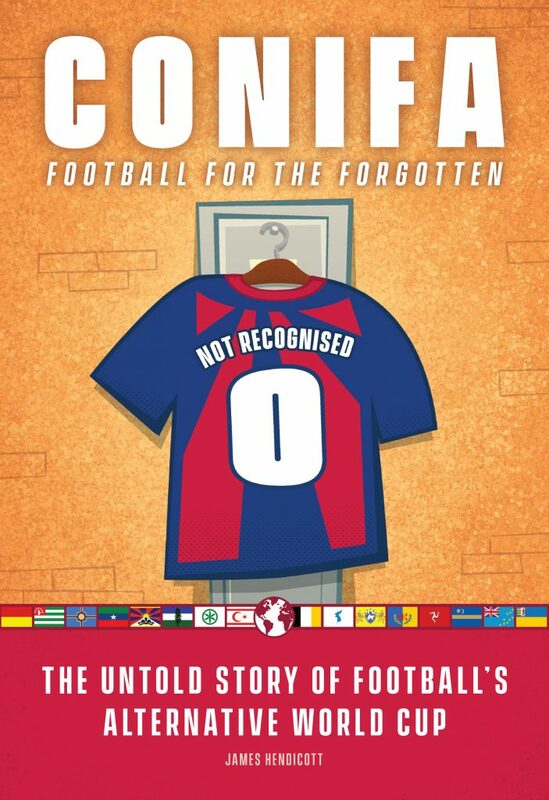 Two years ago, CONIFA’s second ever World Cup was played out in Abkhazia, a separatist region of north-west Georgia, with the hosts taking the title in penalties, and followed fanatically. 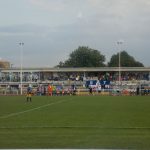 Over 5000 people attended the final. Their bid to retain the title crashed and burnt this weekend, first against Hungarians in the Ukraine, Karpatalja, with the late replacement side who’ve risen to the occasion beating them 2-0, and then with a 2-2 draw in which they couldn’t add to a late equaliser against Northern Cyprus in a ‘must win’ encounter. This was an odd game, perhaps best described as melodramatic. 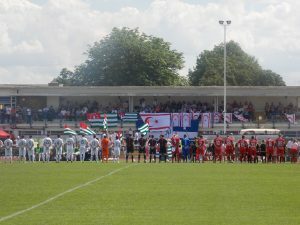 It was poorly refereed, and with the Abkhazia side a touch aggressive, and the Northern Cyprus side willing to go down at the slightest touch, things were a little farcical at times. 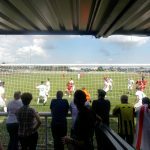 Nevertheless, Abkhazia opened the scoring with a thunderbolt of a finish from 25 yards, though Northern Cyprus has been in charge for much of the game. 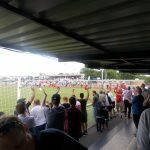 The Cypriots hit back to lead 2-1, before a late penalty and lots of farcical bickering saw out the game at 2-2, enough to see Northern Cyprus through in second in the group, and holders Abkhazia out. Ellan Vannin, another side I had pegged as a potential winner, crashed out elsewhere as Cascadia got more than the five-goal goal win they needed against Tamil Eelam to overturn the Isle of Man side on goal difference, and see themselves through alongside hosts Barawa, who shocked Vannin. I’d picked the long trip to Enfield largely because I’d be seeing four sides I hadn’t seen before. 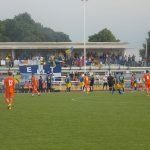 The second game between Western Armenia and a struggling Kabylia side always looked likely to be one-sided – it was ultimately won 4-0 by the Armenians – but provides one of the best stories of the tournament on the weaker side of the contest. Kabylia – a separatist movement for a region in Northern Algeria – are perhaps the most serious movement towards forming a new state in this tournament, at least outside of Tibet. 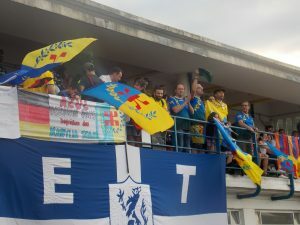 They were supported wildly despite being quite a weak side, with shirts, flags and a massive boombox in the stands playing Kabylian music as the fans danced. They barely seemed to blink when the concessions went in: the region is the ancestral homeland of the likes of Zinedine Zidane, Samir Nasri and Karim Benzema, so the side on the pitch, they told me, is very much symbolic. Most play in the lower tiers of the French and Belgian leagues, often at non-league level. They were watched by their separatist leader. With the serious end of the competition on the horizon, then, north Italian side Padania look a strong bet, as the only side to win all their games (comfortably, too), and with two of their biggest rivals fallen by the wayside. I suspect Western Armenia have come through a relatively weak group, and aren’t as good as their seven points make them looks. Having beaten two of the early favourites, late replacements Karpatalja look a solid bet to challenge the Italians. Cascadia might just come up on the outside and do it, too. 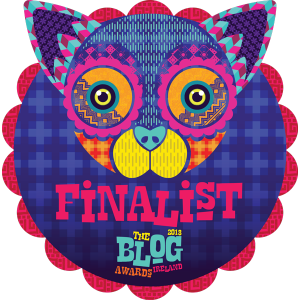 Three game days gone, three to go…. Results (games in blue I attended). Top two in final standings (green) qualify for the quarterfinals. Bottom two (red) will play for positions 9-16.